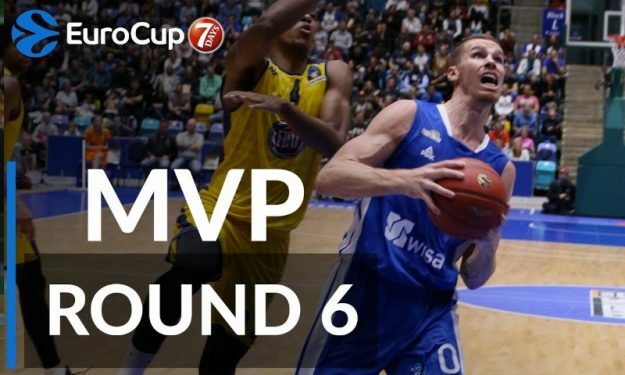 Erik Murphy’s hot start in the EuroCup regular season led him to a MVP award. Erik Murphy of the Fraport Skyliners Frankfurt earned Round 6 MVP honors with a 35 ranking, highest among players of all winning teams. He led his team to a 85-75 away win against Fiat Turin with a EuroCup season-high 33 points, 2/3 free throws, 8/10 two-pointers and 5/6 three-pointers! He also grabbed 7 rebounds and drew 4 fouls. The 28-year-old forward became the first Skyliner player ever to win a MVP award in EuroCup. It’s worth noting that Diante Garrett and Sylven Landersberg got a 33 PIR in Round 6, while Dwayne Evans reached 31.